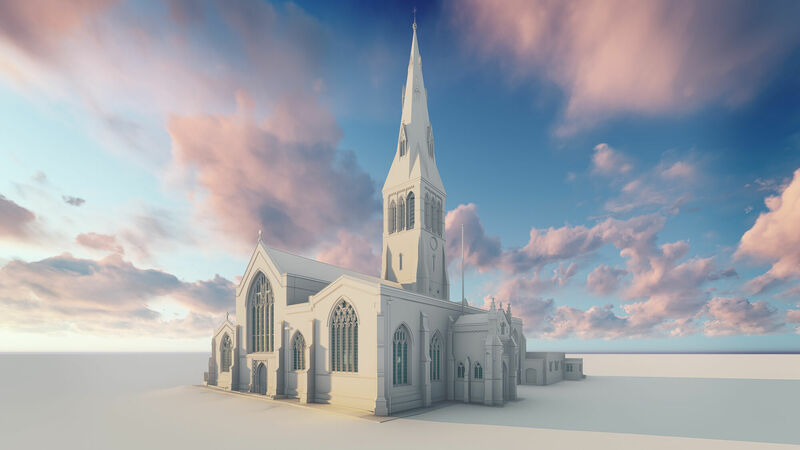 Accurate digital representation of elaborate environment to include structural features and locations of all existing fixtures and fittings. 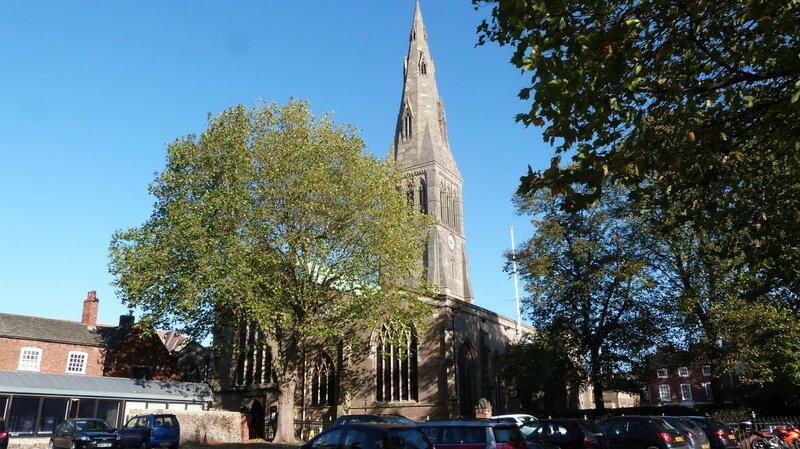 Following the identification of the skeleton discovered beneath the car park at the site of Grey Friars’ in Leicester as that of Richard III, plans commenced to intern his remains in Leicester St Martin’s Cathedral. As part of the preparations, van Heyningen and Haward Architects were appointed to design a fitting grave and marker within the setting of the Cathedral, with the proposed reordering taking into account an increase in the number of visitors. Proposed re-design changes also needed to ensure the daily round of prayer and mission activity would be able to continue uninterrupted. 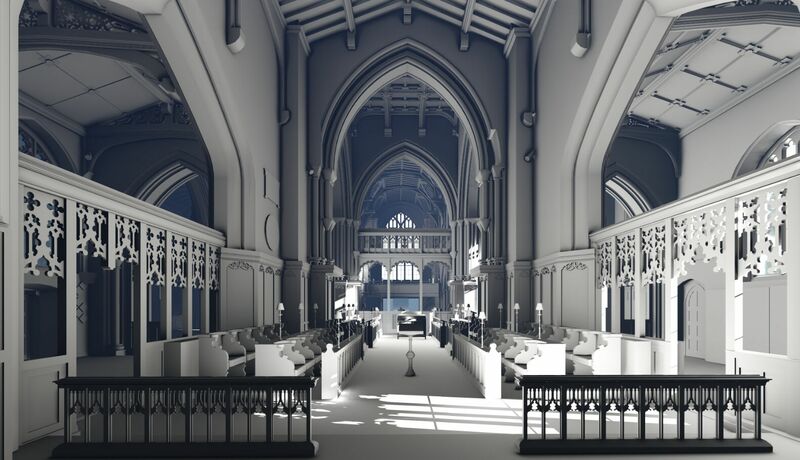 The reordering of the Cathedral had been under consideration for some time and the plans related to King Richard necessitated the need for a full 3D survey of its interior. This was supplied by Plowman Craven. Using state of the art technology, a team of specialists scanned the Cathedral interior to create an accurate 3D digital representation. 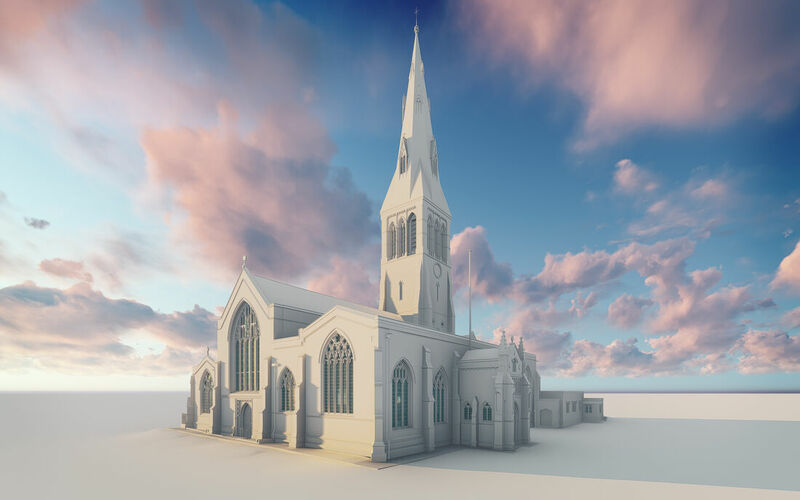 Resulting point-cloud data provided an immediate “point in time” database of information and from this, a precise 3D parametric model was constructed to include structural features and locations of all existing fixtures including monuments, intricate plaques and tombstones. 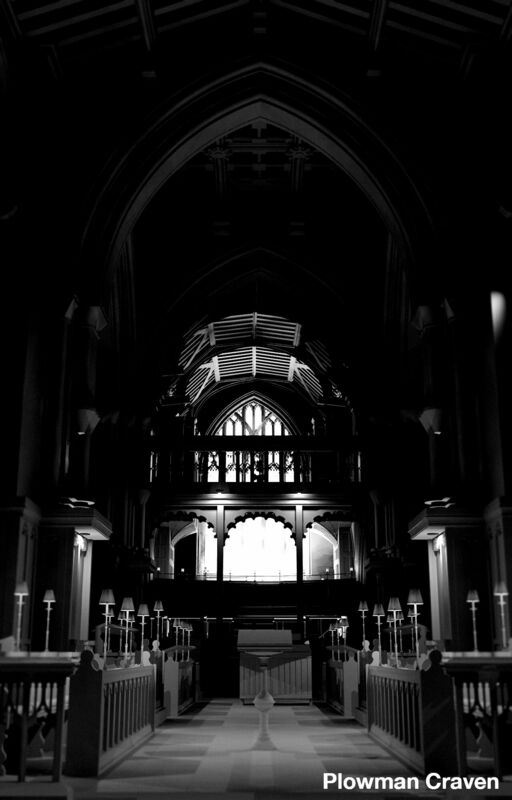 High Dynamic Range (HDR) photography was also taken from each scan location which, when combined with the scan data, generated full colour TruView™. 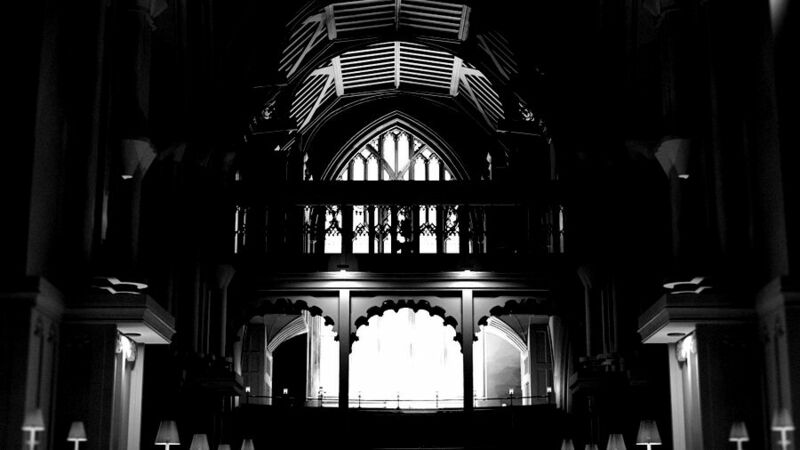 This TruView™ offered instant access to accurate measurement tools enabling remote investigation of the internal structure and reducing the need for site visits to the Cathedral. Tight timescales and a number of constraints were applied to the project. 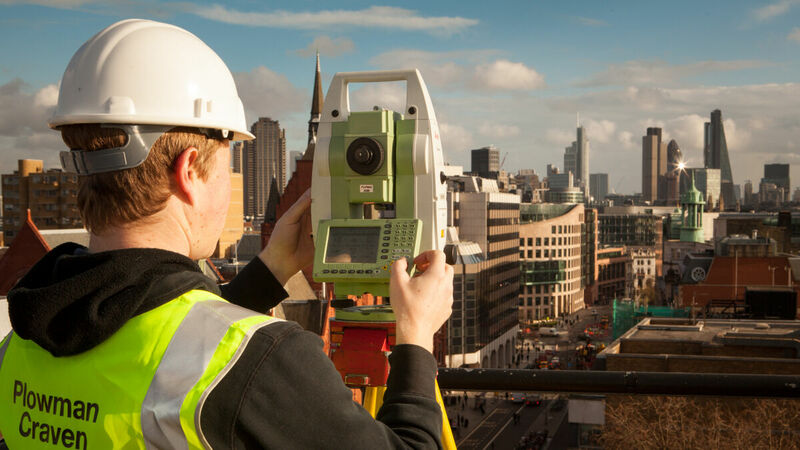 The 3D survey was an early-stage requirement in the scope of the overall plan and needed to be completed as soon as possible. 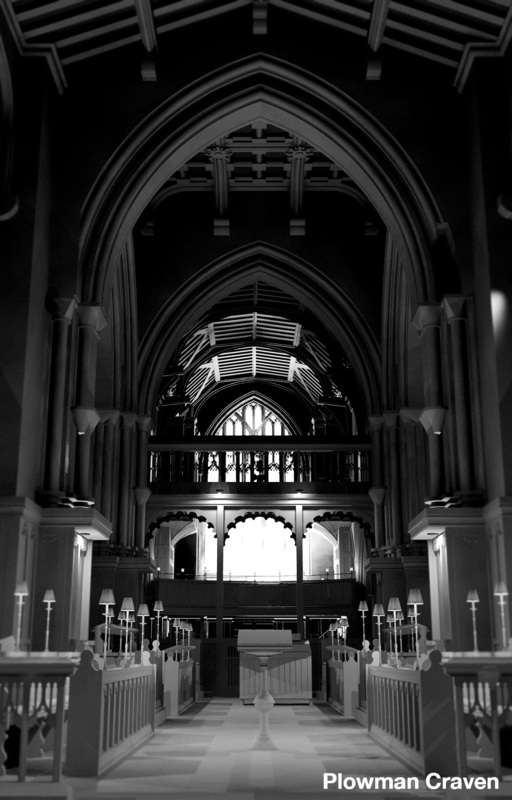 The Cathedral also needed to remain in continuous use throughout and any surveying activity could not disturb on-going activities. A dedicated Plowman Craven Project Manager oversaw all planning, deployment and communication requirements, ensuring also that Surveyors involved were fully briefed on the confidentiality and sensitive nature of the project. 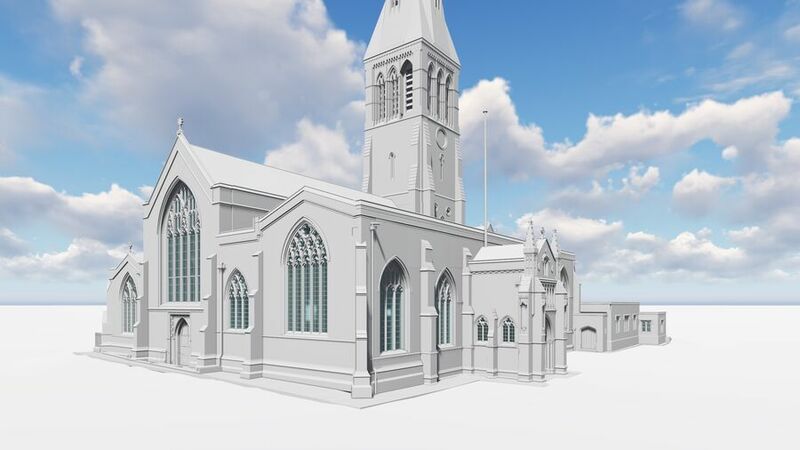 The parametric model was delivered within the required timescales and planning and design for the reordering of the Cathedral commenced. 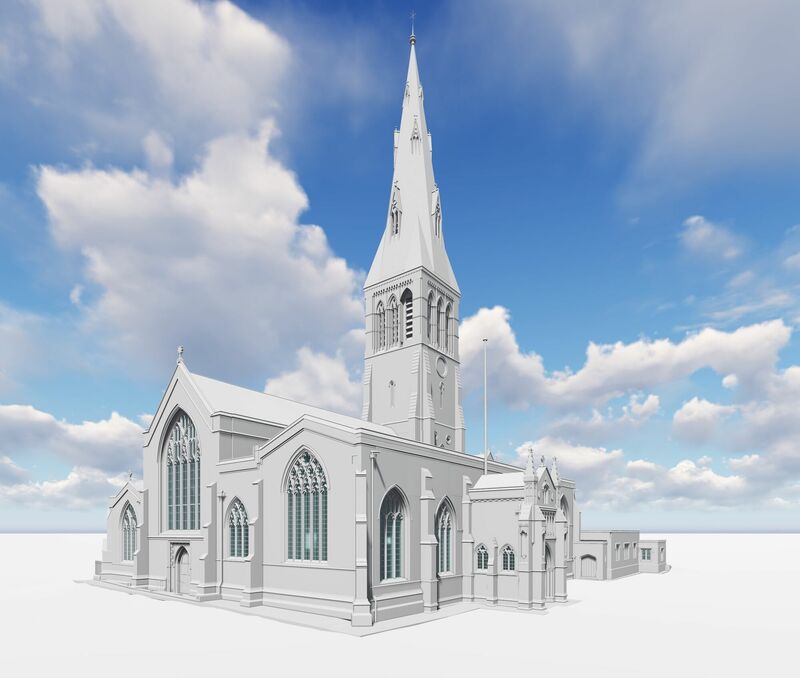 The database of information in the point-cloud data provided by Plowman Craven now sits as a complete archive record which can be accessed at any time throughout the life-cycle of the project or for future proposals.